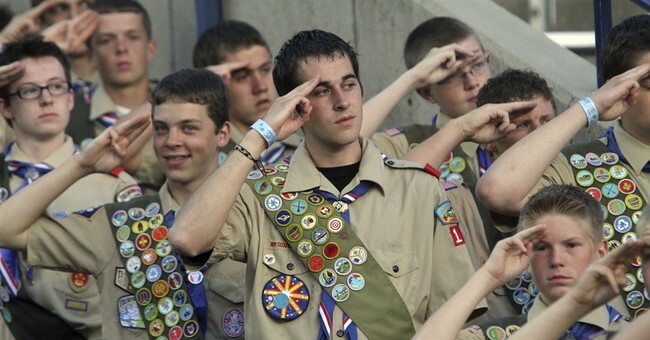 The Boy Scouts of America have moved to start allowing girls to join the organization and will allow girls to earn the rank of Eagle Scout, the group announced on Wednesday. The board of directors voted unanimously to allow girls in, starting next year. The current plan is to, beginning in 2018, allow for the formation of female-only Cub Scout "dens," which will exist alongside existing male-only Cub Scout dens. As of now, the dens will not be co-ed. Cub Scouts are between the first and fifth grades. In 2019, a more expanded program for females will debut, and girls will be allowed to become Eagle Scouts. Michael Surbaugh, the chief executive of the Boy Scouts, defended the move as one that is "critical" for the evolution of the organization. "We believe it is critical to evolve how our programs meet the needs of families interested in positive and lifelong experiences for their children," said Surbaugh. Previously, girls could be part of four other scouting programs (with specific directives such as STEM, the ocean, and career development), but could not become Eagle Scouts. In recent years, the Girl Scouts have been criticized for their decidedly left-leaning bent, causing many church groups to abandon the program for alternate scouting organizations like the American Heritage Girls. Personally, I understand the appeal of a girl wanting to join a program like the Boy Scouts. Compared to some of the things the Girl Scouts have come up with in recent years (plus their drop in membership), the more traditional scouting program offered by the Boy Scouts seems far more interesting than selling cookies.